Preparation: 1. I bought the citypass online in the citypass website and I saved 50%. Two adults and two kids costs $188. $51/adult, $41/kid plus the $4 processing fee. It does save a lot but you have to use the citypass within 9 days from the day 1 you visit any of the five places: Houston Natural Science Museum, Space Center Houston (NASA), Downtown Aquarium, Houston Zoo or Museum of Fine Arts, Houston, Children's Museum of Houston or Kemah boardwalk All-day Ride Pass. 2. In the very hot summer season, remember to bring a lot of cold water to prevent the dehydration. Today in the afternoon it is really hot. Evening is much better but in the evening, the waiting time is also longer. 3. 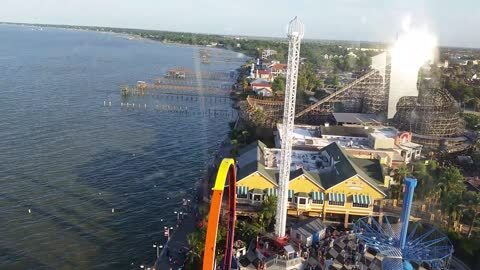 Kemah Boardwalk address: 215 Kipp Ave. Kemah, TX. We used the GPS and also my google map in cell phone to get to the parking lot. It costs $8 per day and it only takes cash. 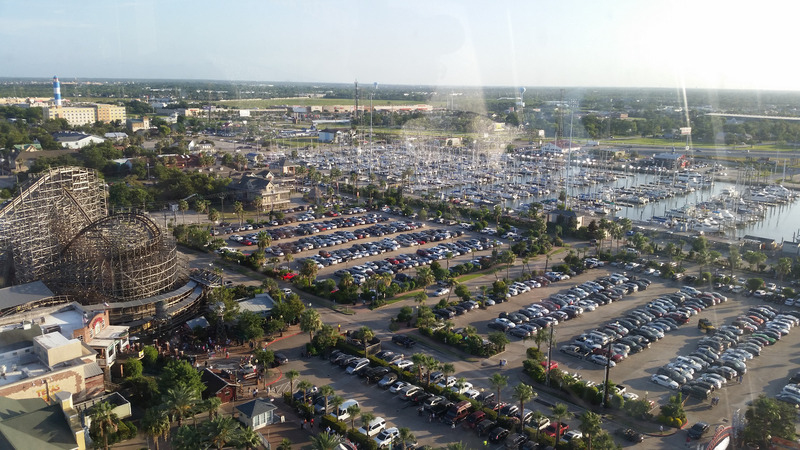 The parking lot is very close to the Boardwalk facility, right in front of the playing area and the restaurants. Very convenient. We were able to put ice cold water in the cooler and when we needed it, we just walked to the car and got it several times. There is a security guard in the entrance but there is no strict bag inspection. It stated no outside food and drink in the sign. When we got in, we had to go to the ticket admission booth to get the all-day pass wristbands for each of us. With the all-day pass, you can play with most of the activities as many times as you want. it's a good deal. 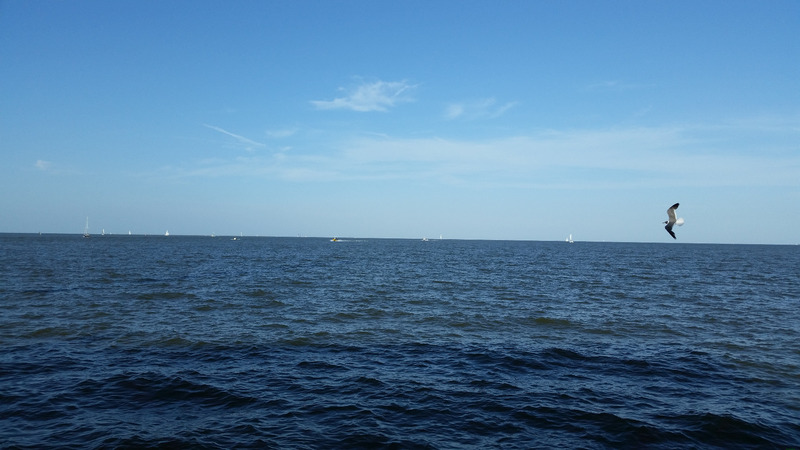 General opinion: It is definitely worth it to spend a day or so here to play if you do not have more time. We had a lot of fun here today. We played on most of the activities and my son and daughter liked them. 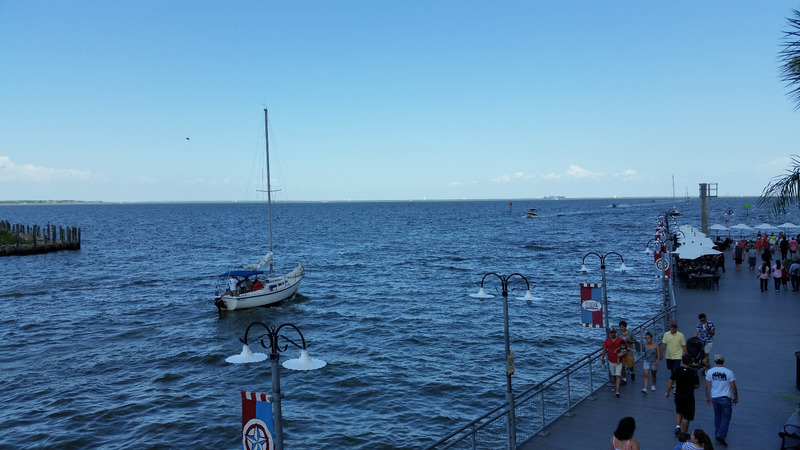 if you have never visited Kemah before, it's a really good place to visit to have fun. 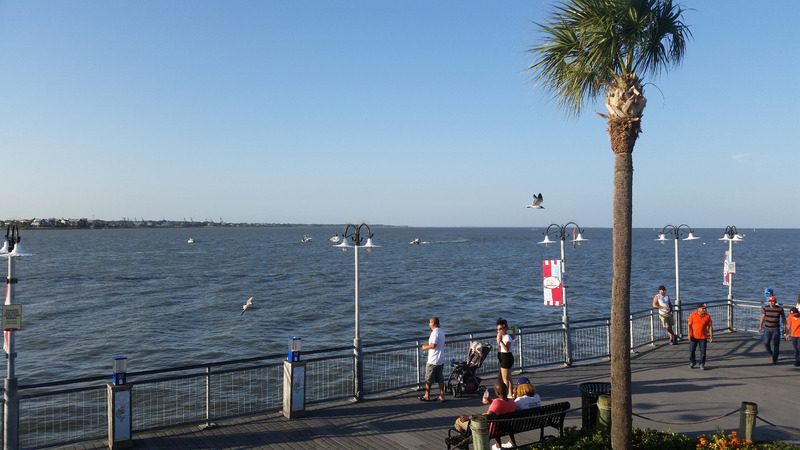 you can eat in a nice restaurant with a beautiful view of the bay, watching seagulls, walking in the deck or patio area, boating, kiddy carnival activities, the choo-choo train rides and other rides. Attractions and activities: 1. 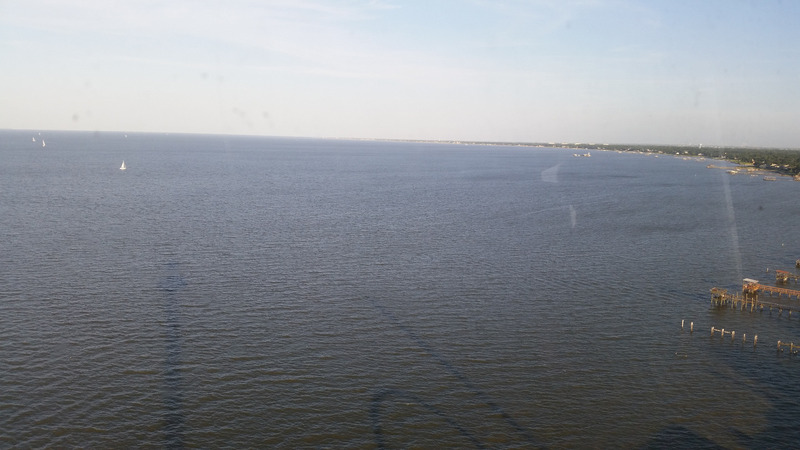 The Boardwalk tower has really nice view of the whole town and the bay area. Day time view in the tower is great. 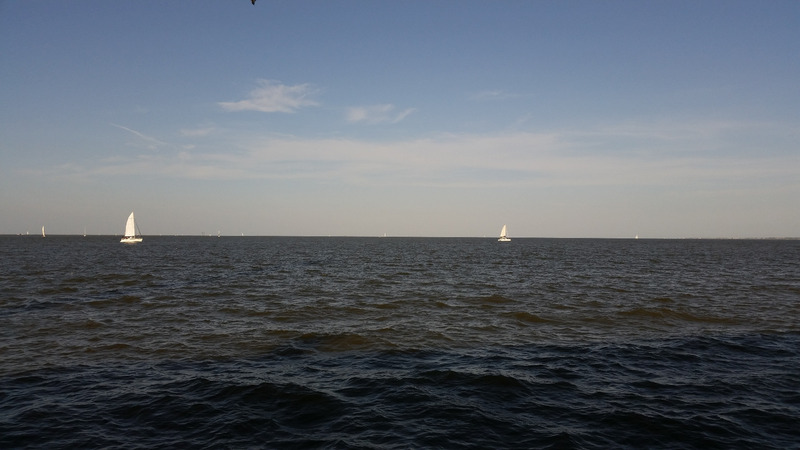 you can see the whole town and the ocean bay, with the beautiful sail boat, yacht, speeding boats, etc. 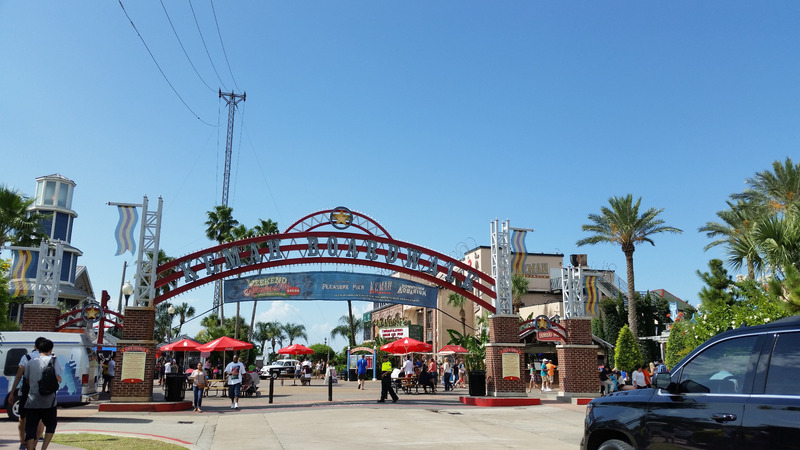 plus the tour guide's explanation of Kemah's history. We also rode it at 9pm but the ocean views was just dark. 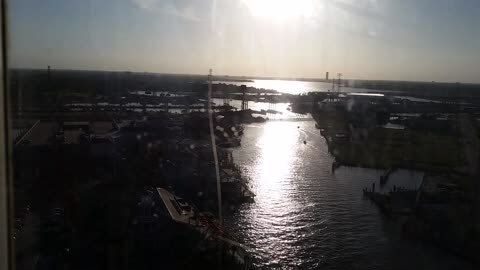 So if you can, ride the tower before it gets dark.The tower ride has AC on that is helpful for you to cool down in the hot summer. 2. 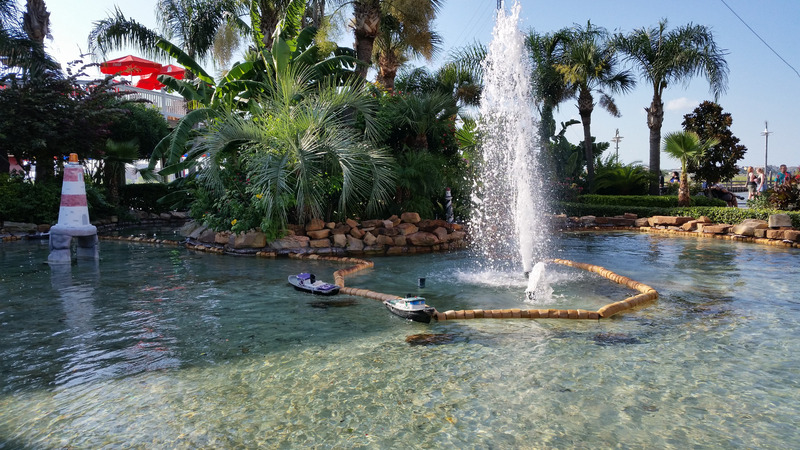 My son liked playing in a small remote control toy boating area. $1 for two tokens, playing around 1 or 2 minutes. Please observe which one is working before you decide which one you want to insert your token and play because some of them may not work at all but you can not get your token back once you inserted them in. 3. 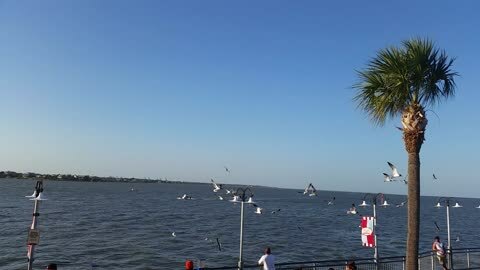 Walking in the deck, patio area, watching the seagulls and the ocean views, sailing boats, yacht, fantasy boating, speed boating, etc. speed boating beast riding: $17/adult, $14/kid. the all-day pass does not include this activity. 4. Avitor - our whole family rided and enjoyed. 5.Other fun activities for the kids: a. Pharoah’s Fury - my son loved it and rode it for 3 times, he loves the zero gravity feeling, b.Rock Rockets - my daughter played twice and love it very much. I suggest you not to ride on these kind of rides right after you ate a big meal. There is even a rid that makes you go in a circle and other Zero Gravity rides ..., I believe those are for high school students or even teenagers. We did not try this. 6. There are also some toddlers friendly activities such as choo-choo train, a small Ferris Wheel; There are different kinds of boating activities there but we've never got time to try any. Maybe, we will try them next time. 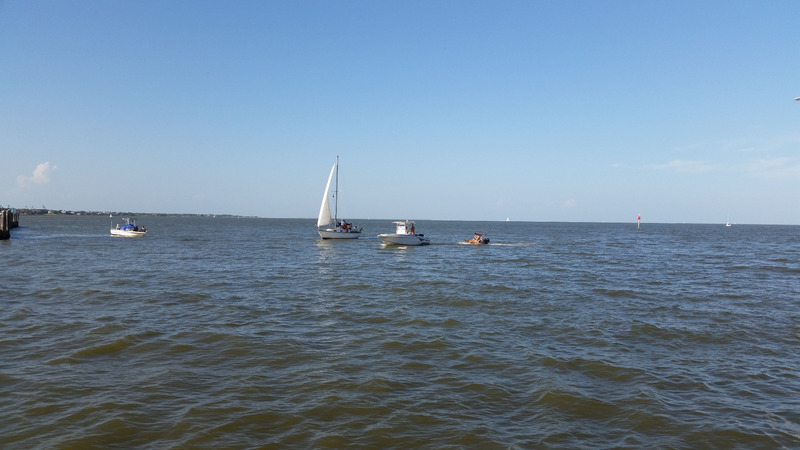 There is a speed boating beast ride, at the site, the admission $17/adult, $14/kid. 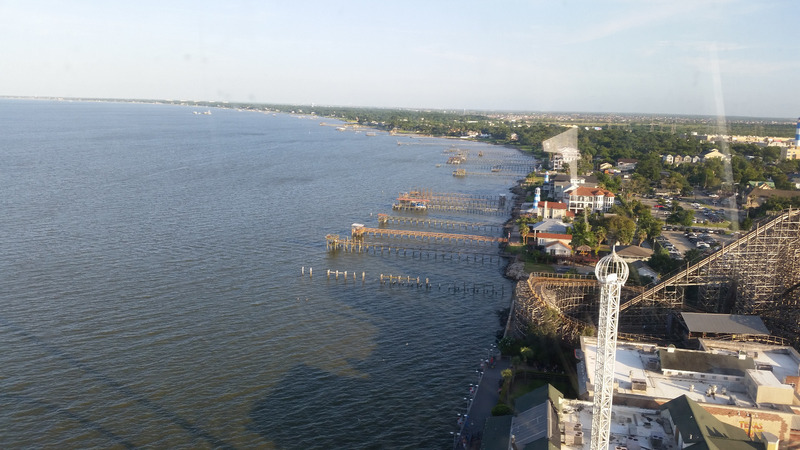 In summary, it's fun and worth to take your family to visit Kemah. a lot of fun activities for all the age groups. Dining: We ate a late lunch in the Lighthouse Buffet and we liked it because the buffet has a lot of different kinds of food we could choose. The price is OK and it is not that expensive. $14.99/adult, $6.99/kid, plus tax and tips. 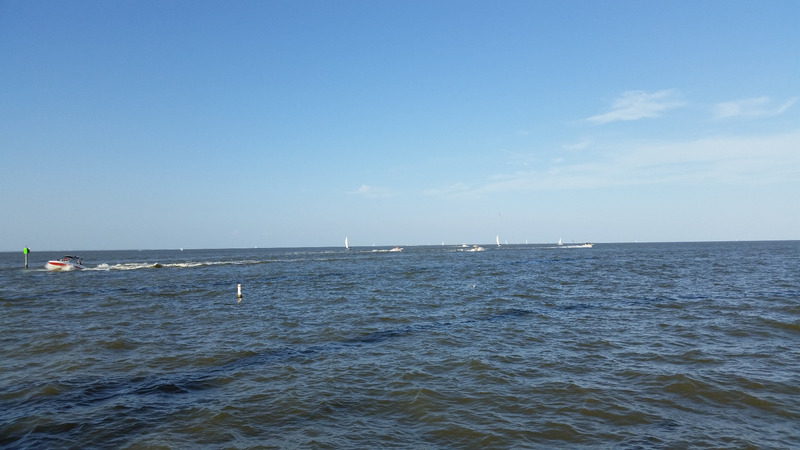 We enjoyed the food and the view. There are indoor and outdoor tables. 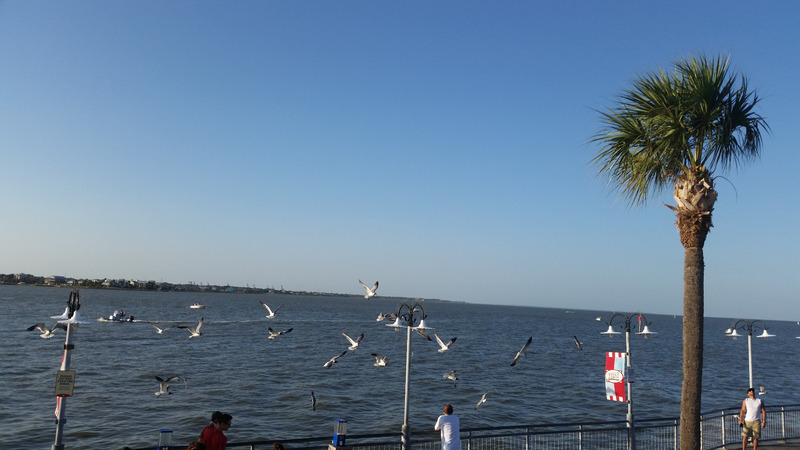 The outdoor patio view is really beautiful and a lot of seagulls fly overhead. 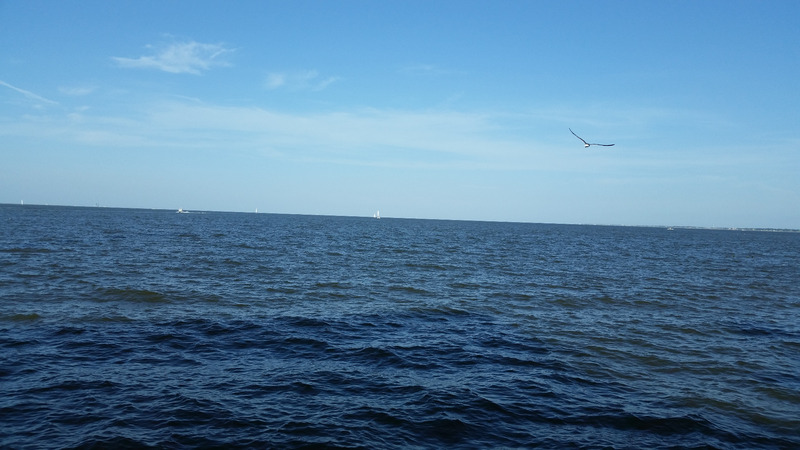 Commute: Traffic is pretty good in Kemah. 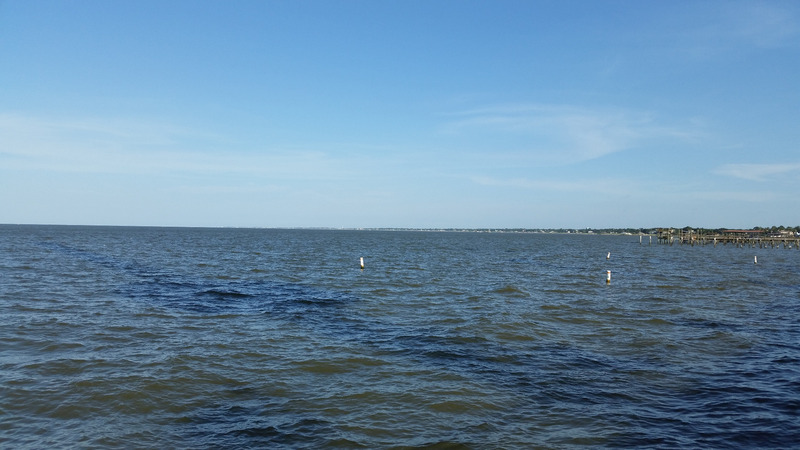 We just followed the GPS google map and found the very convenient parking lot right in front of the Kemah Boardwalk. But remember if you come from Houston, sometimes, I-45 has construction work or traffic accidents, it may delay you a half, one hour or even more. Houston is really a big city now and it grows fast. So I suggest you always put some snack or food and water close to you and the kids, in case of the traffic jam, if you're getting hungry, you have food to eat. 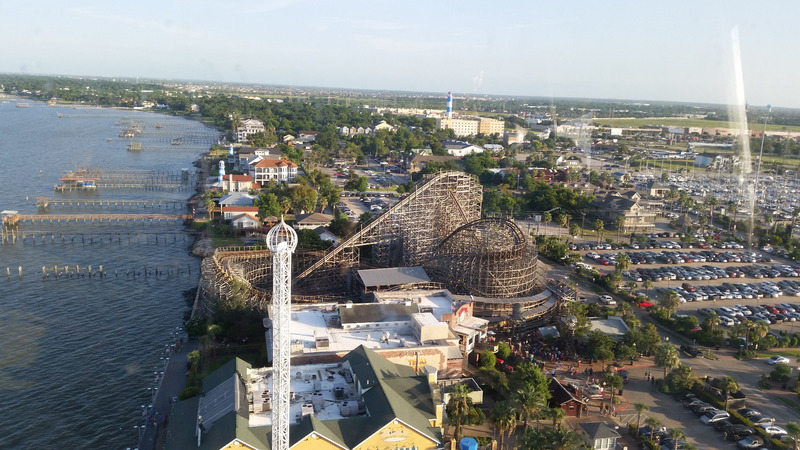 The Kemah Boardwalk tower is a great ride to see the whole city.